Disclosure: I am including some affiliate links in this post for your convenience. I am a big believer in using what you have first because the greenest (and cheapest) thing is what you already own. I converted my big flower planters with drainage holes into self watering planters using using Terra Cotta Plant Nanny stakes and empty long neck glass bottles. They work so well I put them in the front yard too. Next summer I’m going to skip the boozy look and order a bunch of pretty colored glass bottles from Dollar Tree on line. Psst mega dollar store hack coming at ya! You get FREE shipping if you order from Dollar Tree on line and have it shipped to your local Dollar Tree store for pickup! If you already have large gallon flower pots and planters without drainage holes you can easily DIY a self watering flower pot by popping a self-watering pot reservoir into the empty pot followed by dirt and plants or seeds. Easiest. DIY. Ever! If you have a large planter box or in ground garden area, you can make a self watering garden without running drip irrigation lines by sinking a Terra Cotta GrowOya Vessela in your garden 36 inches apart and filling them with water. Each grow vessel will water a plant for seven days. This option doesn’t work as well if you have clay soil which means it sadly is not for me. I put the unused air space to good use with a hanging herb garden in self watering hanging plant baskets. Since I’m too short to water hanging plants easily (which means they are almost surely guaranteed to die a horrible death) I hung each one from a hanging planter pulley. Now I can easily lower the hanging pot to fill the water chamber and raise the pot up to tall people won’t bonk their head on a hanging planter height when I’m done watering.So far, I have a live basil plants and no severe head trauma for the tall people who hang out on my patio. I’m going to call plant pulleys a win! This planter grows Opal Basil. It is yummy! Read how to make my DIY hanging herb planter on my DIY blog Condo Blues. I don’t have a patio or balcony rail to use for more herb garden space. If you do, you can take advantage of the unused garden space with a self water resin rail planter like this one. My self watering planter box has a secret. It is actually a wood slip cover I built around a plastic self watering planter similar to the Hydro farm or Earth box. I wanted it to look pretty and needed an attached trellis for bitter melon that year. 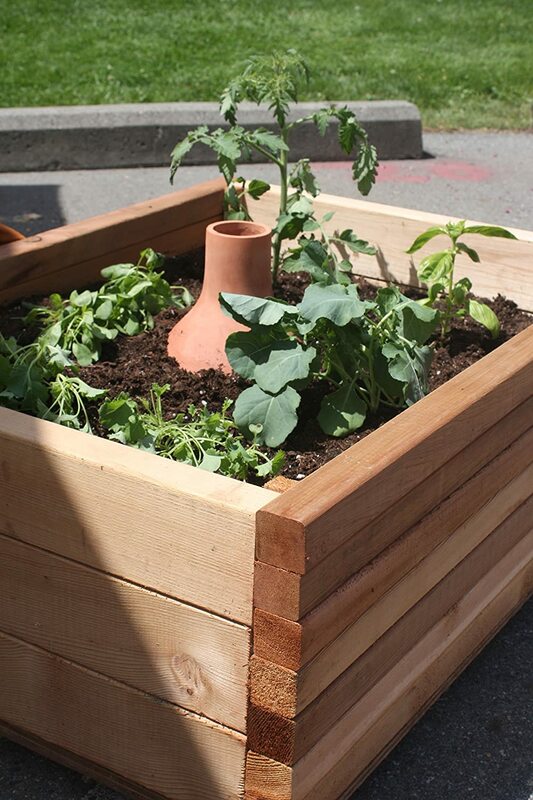 Read my How to Make a Self Watering Planter Box tutorial on m my DIY blog Condo Blues! 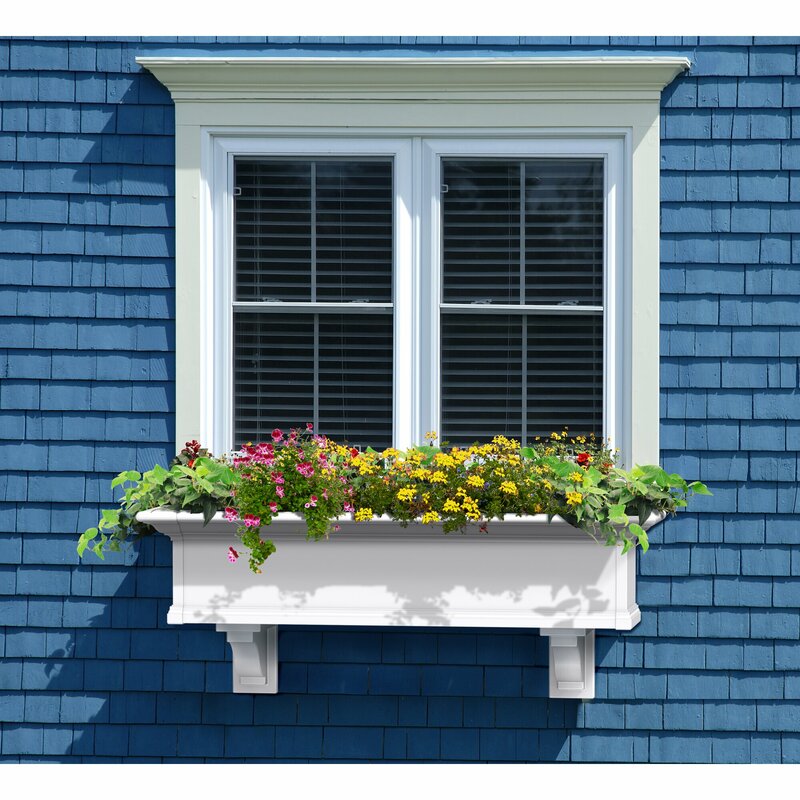 Next year I want to add two Cape Cod self-watering planter boxes with flowers to each side of my front walkway to coordinate with my Cape Cod style house. That way, my fall mums have a chance of living more than a week or two – unlike last year. They have a matching Self watering window box planter I might hang off the kitchen window to grow more herbs next year or maybe grow beans and peas in it the front porch rails. Do you think it would work with trailing vining plants instead of staking them?. Do you garden? 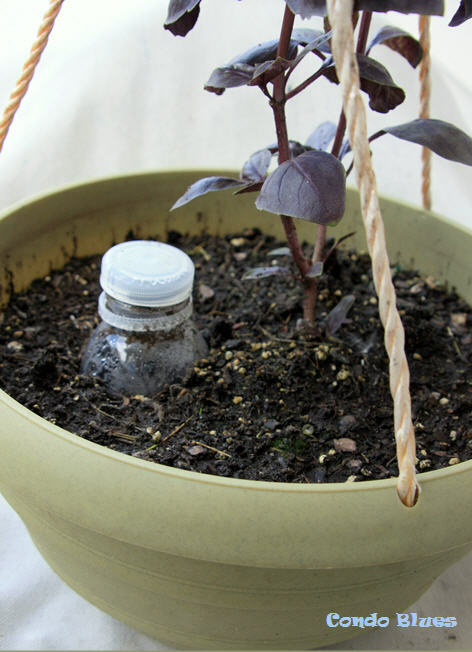 How to do you keep your plants watered and alive? 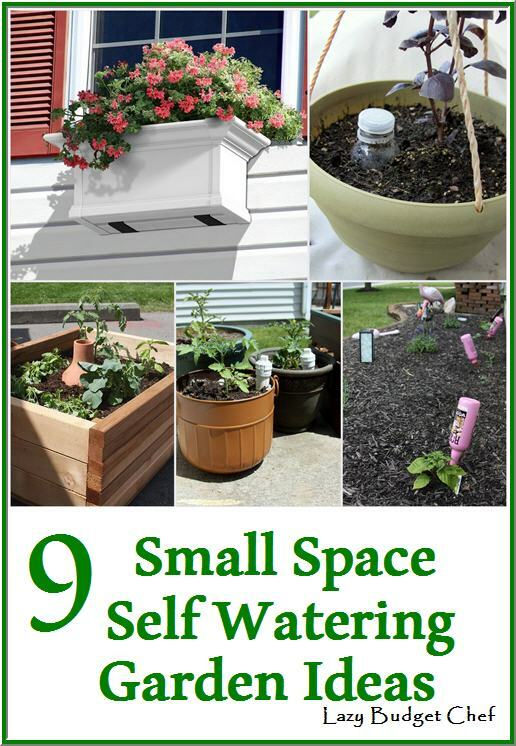 If you're not into DIYing, here are even more self watering pots and planter I recommend!